Ensuring individual comfort and saving energy. 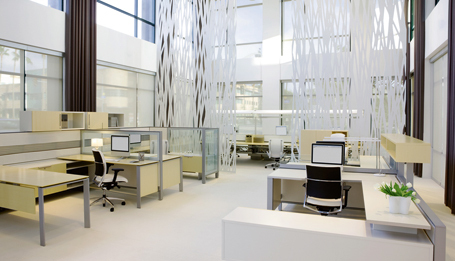 Used in offices, public buildings, production halls, commercial premises or sensitive operating areas, volumetric flow controllers, actuators and sensors ensure an optimum room climate while consuming minimal levels of energy. They can be used as VAV-Compact or VAV-Universal devices. Special, compact VAV control units are available for distribution boxes used in controlled apartment ventilation. Eu.bac-certified room and apartment controllers and fan optimiser system solutions improve comfort levels and reduce energy consumption. Video: Belimo VAV-Compact NFC. Another step forward. Protecting life and material assets from fire and smoke. 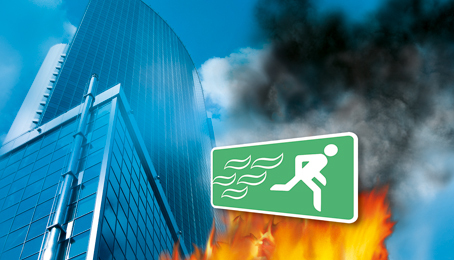 Fires represent the greatest potential threat for people and material assets in buildings. Efficient fire protection saves lives in times of danger, helps minimise property damage and secures the continued operation of companies. The best protection from fire and smoke spreading through the air ducts is provided by the motorised fire dampers forming fire compartments. Smoke extraction systems with motorised smoke extraction dampers ensure smoke-free escape and rescue routes. Video: New range of fire damper actuators BFL and BFN.